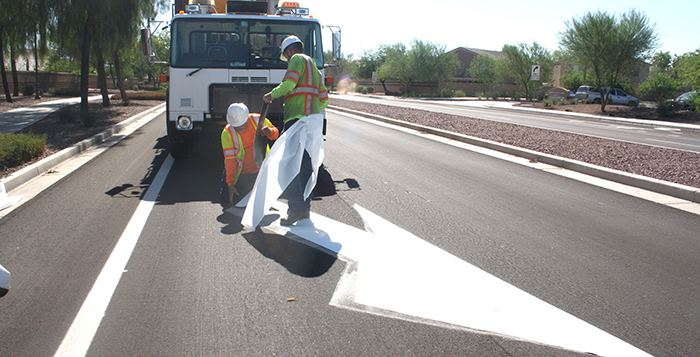 As the city of Maricopa officials develop their plans for the next 25 years, the Development Services Department is continuing to push forward toward its goals of expanding transportation and accessibility for the city. Development Services had set an 18-month timeframe to complete a study regarding the city’s needs and goals for the future. The study was broken into two parts (Phase I and Phase II), and the overall cost of the study is $577,580. Nearly six months into the study, the department is right on schedule. Much like the city itself, the Development Services Departments has also broken up its goals over the next 25 years. With so many moving pieces needing to fall into place, Maestas said it would be impossible to set the goals on any shorter of a timeframe – everything from road upgrades to transit routes that don’t exist yet play important roles in the city’s future planning. The goals for transit are divided by the decade. For 2020, the department hopes to expand on the existing COMET shuttle services. A key factor for the city to continue growing is for Maricopa to continue supporting Valley Metro vanpool services to and from the Phoenix area. This not only helps commuters get to work, but it also eventually will allow more people to come see Maricopa. By 2040, the look and feel of Maricopa will have likely changed dramatically. In order to sustain the expected growth, transportation will need to change dramatically as well. Development Services hopes to not only make it easy for Maricopa commuters to get to Phoenix, but to make Maricopa a transportation hub for traffic coming in and out of the city. If the Development Services Department stays on track, Maricopa could not only see the growth of transit services in place within Maricopa, but the implementation of express route services to the Valley Metro Transit System. By 2040, “Park and Ride” transportation centers could be developed for mass transportation to and from the Phoenix metropolitan area. At that point, Maricopa wouldn’t just be a suburb of Phoenix, but an economic power in the area. All of this, of course, is speculative and years away. The plans set forth now could one day lead to Maricopa being an economic power, but it is the small changes that will lead to the major ones. Phase II is expected to last approximately a year. 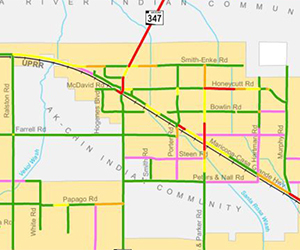 Maricopa is studying the likely areas of traffic growth in and around the community.